When you know you’ve found your special someone, you don’t want to have to wait forever to propose! Engagement rings can be expensive. It’s hard to get that all of the money up front. Dale’s Jewelers has been offering Interest Free Financing since 1963. 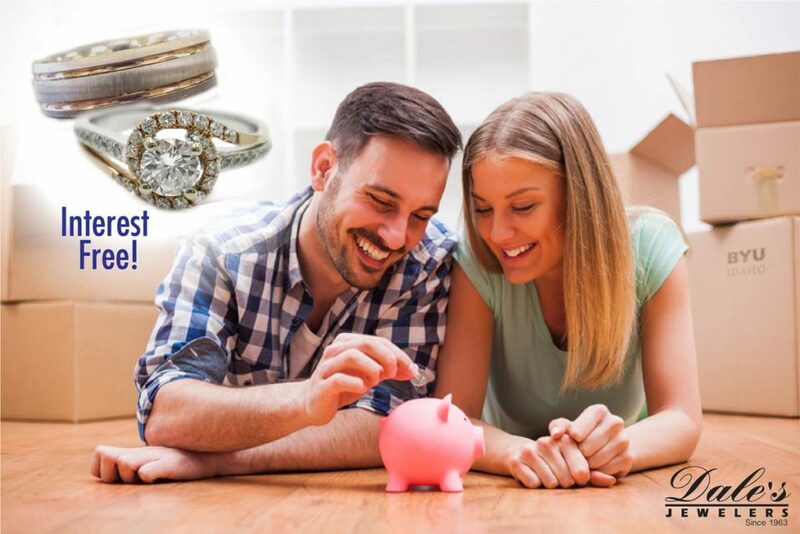 If you’ve been thinking about purchasing a diamond engagement ring or another piece of fine jewelry, but weren’t sure how you were going to pay for it, we’d love to talk to you about our In-House Financing options. We understand that people prefer to keep their financial situation to themselves and can offer you absolute confidentiality with regards to this conversation. All of our jewelry buying advice is free and offered without any sales pressure.